This summer, Alaska Wildland Adventures celebrates its 31st anniversary! The company began operating trips in 1977, first under the name Alaska Campout Adventures. Our first trip was a tenting safari that traveled from the Kenai National Wildlife Refuge and Chugach National Forest to Denali National Park. In the early years, the company felt fortunate to take fifty to sixty people a year on adventuresome trips throughout Alaska. Though we still operate our original tenting safari (now called the Alaska Explorer Safari), most of our trips feature cabin overnights and an authentic Alaskan ambiance in comfortable lodge settings. In 1987, we changed our name to Alaska Wildland Adventures. There was a surge in interest in travel to Alaska, and more and more people wanted to vacation in a participatory style. One small group at a time, we were able to grow to provide more and more uniquely Alaskan travel opportunities over the years. In addition to operating our own trips, we operate trips for Lindblad Expeditions, Elderhostels' Road Scholar Program, and Audubon Nature Odysseys. We also work with a number of national and international tour companies, such as: Glacier Bay Cruiseline, Knightly Tours, GORPTravel, Alaska Unusual, and Alaska Discovery. Over the years we have hosted a number of affinity groups, directly and through travel planners. These include: National Trust Group (Australia), Beaver Lake Nature Center, National Audubon Society, Maine Audubon Society, Massachusetts Audubon Society, Florida Audubon Society, Audubon Society of New Hampshire, Delaware Nature Society, Schuylkill Valley Nature Center, Dallas Museum of Natural History, Brandywine Valley Association, Cincinnati Zoo, St. Louis Zoo, Cleveland Zoo, and Louisiana Nature Center. 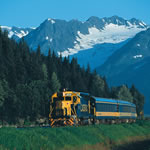 Our main office is in Girdwood, Alaska, a scenic mountain community 40 miles south of Anchorage. We maintain a three-building office on two scenic acres that adjoin an undeveloped greenway. From our office windows, we view beaver ponds, nesting waterfowl, occasional moose and bear viewings, and a snow-clad mountain backdrop. This probably has something to do with why we are so excited when we talk with you on the phone. We have 12 year-round staff and 75 seasonal staff at our summer operations. Kirk Hoessle is the President of Alaska Wildland Adventures. He has served as the President of the Board of the Alaska Wilderness Recreation and Tourism Association, and currently serves on the Board of the Alaska Travel Industry Association. He is a past participant on the Governor's Advisory Board of theTrails and Recreation Access for Alaskans program (TRAAK). Kirk began leading trips in 1982, when the company only operated one trip. His involvement grew into a managerial role, and then onto the role of owner/operator in 1987. Prior to his involvement in Alaska tourism, Kirk directed the Youth Conservation Corp program in Tanacross, Alaska, was a partner in an interpretive planning and design firm, and he also helped direct and formulate environmental education programs for elementary and high school students. 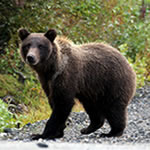 Why travel in Alaska with us? Since 1977, Alaska Wildland Adventures has been leading high quality, small group trips and adventures in Alaska's national parks, forests, and wildlife refuges. We have cultivated a participatory style of travel that allows our guests to experience the natural beauty of Alaska without compromising comfort. In pursuit of excellence, we have grown to operate our own rafting and sport fishing trips, guided hiking and natural history programs, and two custom built uniquely Alaskan lodges and overnight facilities. When you travel Alaska, much or all of your trip will be directly in our hands! 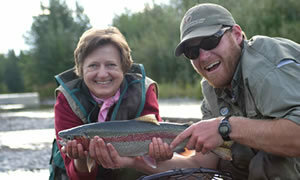 Is Alaska Wildland Adventures your company? Register to get access.